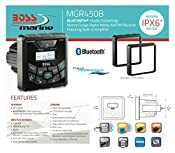 Crest the waves while enjoying your music with the BOSS Audio MGR450B Weatherproof Gauge Mech-Less (No DVD/CD Player) Digital Media Player. 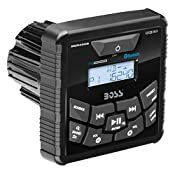 Turn on the Weather Band/AM/FM radio, hook up your smartphone or MP3 player through the Auxiliary input or plug into the USB port to charge or play USB-connected devices. Bluetooth technology lets you stream audio apps like Spotify and Pandora. Change up the sound with the Preset built-in EQ. 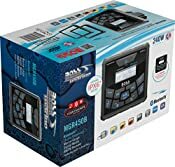 With an IPX Rating of 6, state-of-the-art weatherproofing materials and special UV protection coatings, the MGR450B resists corrosion and is protected from the elements. 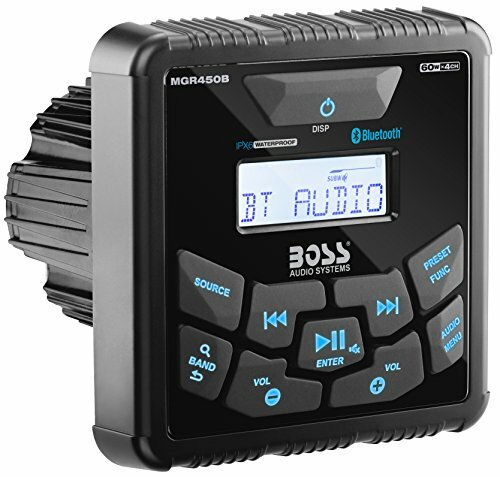 Keep your tunes flowing with the Boss Audio MGR450B.